The Andris family has two households that might be relevant. When Jacob’s father was still alive, the family lived in a small one-story home. In the present day as far as most AUs are concerned, Jacob, his mother Mariana, and his stepfather Mike live in a two story house that’s slightly nicer than the one before. AUs featuring the early house: Brothers Unexpected, Brothers Adopted (without Jacob around, Mariana never moved even after remarrying), and Brothers Sought. 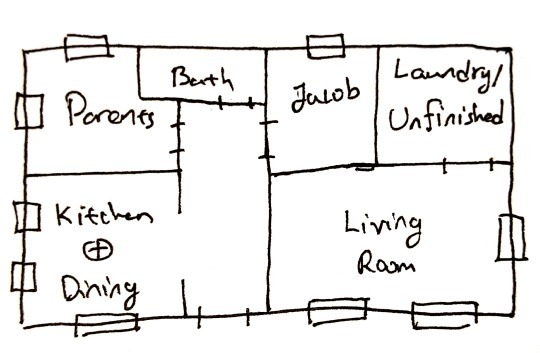 Otherwise, the second house will be the layout for the stories. Pictures to follow (I didn’t use a ruler and my handwriting is a thing, hopefully it’s all clear). At this time, I don’t have individual room layouts planned out (and I forgot to mark the archway into the living room from the hall), but in general this was a crowded but loving home. Jacob enjoyed his childhood in this home and spent a lot of time playing in the backyard. 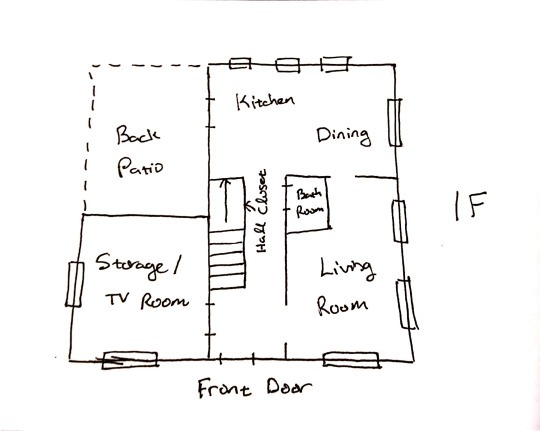 Rooms aren’t perfectly scaled here, but this is the general idea of the house seen in most of the AUs. 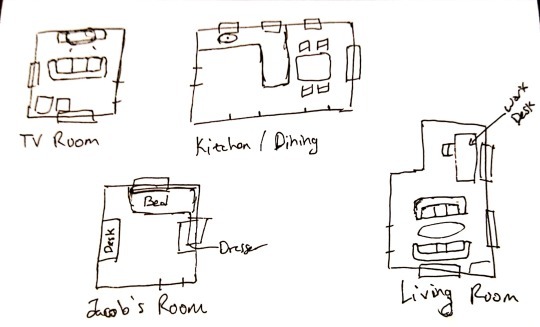 Furniture sketch layout. 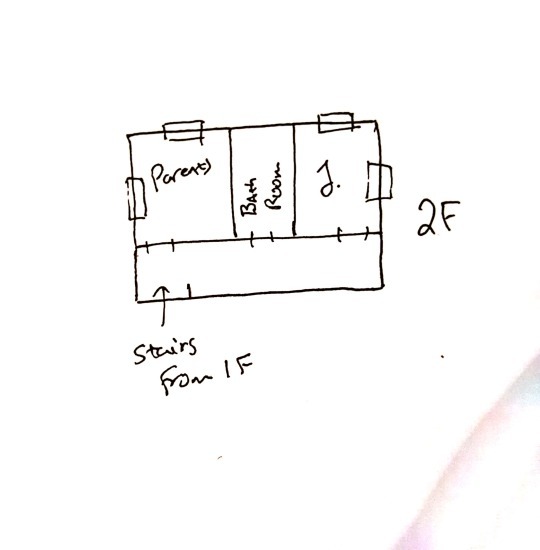 It’s very basic but this is the general layout of the important rooms in the Andris home. One of Mariana’s jobs is a work-from-home job, and she does her work at the desk in the living room; however, everything is kept very tidy and clean. Things are less crowded here, but it’s still a very warm and inviting place. Thank you so very much! This helps a ton! Just to clarify, on the second house, all the upstairs rooms stand above the kitchen/dining room, correct? You are correct! I’m sorry I didn’t see this comment right away.